Whether the goal is cost reduction or following consumer trends, even the most honored recipe can be tweaked with new ingredients. The economy in general, last summer's drought and the lack of a U.S. Farm Bill all are pushing prices for such key commodity ingredients as corn, soy, meat, poultry, milk and eggs into the stratosphere. Fortunately, emerging technology has come to the aid of the formulator, allowing for optimizations that can help relieve the pressure. Dividing ingredient optimization need into classes, technology has improved vastly when it comes to enhancing or replacing proteins, starches and fats. Over the past decade, much has been discovered about how the proteins function in eggs and whey, for instance. Fat replacement tech has been somewhat overshadowed by shifting needs in different compositions of fats — e.g., no trans fats but more omega-3 fatty acids. But keeping calories under control is still a key concern, so fat reduction remains popular. The trend of adding fiber to food products continues its upswing, with formulators seeking not only to add texture, but also to create products with less fat and fewer net carbs than competing items in the same category. Thanks to continued consumer interest in whole-grain and gluten-free options, incorporating a variety of grains and pulses into food products has become increasingly popular. As drought has affected large swaths of the Southeast, Midwest and Southwest in recent years, lowering yields and increasing costs for wheat and corn, some farmers and ingredient suppliers are looking to pulses as an alternative. In general, pulses -- peas, chickpeas, beans and legumes — are more drought-tolerant than grains are, as are some "heritage" grains and grasses, such as sorghum, millet and buckwheat. Sorghum (also called milo) can be processed into a whole-grain yet gluten-free flour, thus satisfying two key consumer demands. ADM Corp., Decatur, Ill., rolled out two varieties of white sorghum flour — standard and whole-grain — under the trade name Harvest Pearl. Processed similarly to wheat flour, Harvest Pearl white sorghum flour has a neutral flavor profile. According to the company, whole-grain sorghum flour offers an important gluten-free solution, as it is cost-competitive with other flours and thus more economical than specialty starches. Whole-grain sorghum flour provides twice the protein and fiber of brown rice flour, which has typically been the go-to ingredient for whole-grain gluten-free products. Reformulation is not always cost-driven. Of course, reformulations for reduced sugar and sodium content save money when you simply remove that amount of the ingredient. But the current trends of shifting to more "consumer-friendly" ingredients as replacements can reduce costs even when the new ingredients themselves run slightly higher in price than what they're filling in for. For example, the natural sweeteners stevia and monk fruit are 200-300 times as sweet as sugar, which means you'll need far less of the sweetener than you would for a caloric sweetener. And sodium chloride-based salt reducers also require less ingredient for more intense flavor, naturally. In such cases, there's the "bounce" from being able to put a clean label designation that appeals to consumers and drives up sales. Grains play another part in new formulation technology, beyond providing flour. As research has deepened food scientists' understanding of the protein-fat interplay in product formulations, new approaches to replacing eggs have evolved. Penford Food Ingredients Inc., Centennial, Colo., recently introduced PenTech NG, an enzyme-treated starch product. "Six grams of PenTech NG plus 44g of water can replace a large egg and 70 percent of the calories in a formula," says Bryan Scherer, Penford's director of research and development. Scherer believes egg replacement is an important tool to help cut calories and to reduce allergens in baked foods. Ying Bian, senior applications scientist at Penford, notes that a second-generation product, PenNovo 00, can replace egg whites in specific bakery items by providing volume and moisture retention. This is particularly desirable in the gluten-free market, where product developers not only formulate-out wheat and gluten, but also eschew other allergenic ingredients such as soy, milk and eggs. Designed as a coating material to extend the shelf-life of fresh foods as well as egg whites, PenNovo 00 is non-GMO, non-allergenic and kosher-certified. This enzyme-treated starch gives formulators a new volume-enhancing tool for their gluten-free tool box. And for clean-label considerations, it can be labeled as modified food starch. One egg replacement solution suitable for a variety of bakery applications is wheat protein isolate. ADM touts its SmartBind wheat protein isolate's ability to replace egg and dairy proteins in bakery products by both providing structure and aeration. The choice of which protein to use would depend on the desired finished product texture and the processing parameters, according to Brook Carson, director of R&D for ADM Milling. "SmartBind offers similar functionality to Prolite 100," says Carson, but the former is "more creamy and smooth." Both ingredients can also be used to replace or reduce fat, milk or dough conditioners to improve a product's nutritional profile or allow for a "cleaner" label. In most layer cakes, wheat protein isolate can replace up to 50 percent of the eggs; in muffins, pancakes, sweet breads and cookies, egg replacement may go as high as 100 percent. The "fat replacers" umbrella encompasses a wide variety of products, based on fats (emulsifiers), starches, fruit purees and sugar esters. In addition to creating products with a lower total fat content, other reasons for fat replacement include eliminating trans fats, reducing saturated fat or boosting "healthier" fats, such as omega-3 fatty acids. The healthier fat approach does not generally reduce calories, while fat replacers do. At 9 calories per gram, fat is the most caloric ingredient in the formula — and usually the most expensive. For both those reasons, it's one of the primary targets of processors and ingredient technologists in providing for healthful product formulations. "Not surprisingly, removal of trans fat has been a huge driver in our work for the past few years," admits Bob Wainright, technical services manager for Cargill Inc., Wayzata, Minn.
One of Cargill's fat-reduction tools is a citrus-based, fiber- and pectin-rich product called CitriTex. "Three of our customers are going to market with baked goods made with CitriTex," says Bill Gilbert, Cargill's master baker and chief technologist. "Two have developed reduced-fat muffins for food service and in-store bakery sales with the ingredient, and one is providing fiber-enhanced, low-fat muffins to a large, retail coffeehouse chain." In 2010, Caravan Ingredients Inc., Lenexa, Kan., introduced Trancendim, a line of diglycerides that deliver zero trans-fats and act as a reduced saturated-fat alternative for structuring fats and oils. By improving crystallization properties and promoting the formation of the ß-polymorph fraction in shortenings and margarines, it eliminates the trans designation. It is used for frying "problem products," such as donuts and French fries, and can be incorporated into baked foods that need to be free of trans fatty acids. While a common reason to use replacement ingredients is to reduce cost, that isn't the only way to go. Adding certain ingredients or replacing a standard ingredient with one that offers significant health benefits can put your product in a whole new category and can maximize profits. For instance, Xtend sucromalt, Cargill's new entry in the energy category, is a nutritive sweetener that is digested more slowly than other sugars. According to results of a study published last fall in Nutritional Neuroscience, subjects reported significantly greater mental and physical energy, delayed physical fatigue and less mental fatigue after consuming a beverage made with sucromalt than when they drank a beverage sweetened with glucose. This held true particularly four to five hours after consumption. "Despite the growth of super-caffeinated products, it is clear a growing sector of the population wants more options," says Deborah Schulz, Xtend's product line manager. "It's a low-glycemic sweetener applicable to diabetic foods, and may allow for reaching a large and growing market." For the newest natural sweetener, formulators have been making increasing use of monk fruit extract. New technology that provides a naturally extracted ingredient that is not bitter, is highly stable and is applicable to most food categories has made this sweetener applicable to more formulations, according to experts at Tate & Lyle Americas, Hoffman Estates, Ill.
Also known as luo han guo, monk fruit is a natural sweetener and is 300 times as sweet as sucrose. Despite being new on the American scene, it has been used in China for centuries. FDA-approved as GRAS in some product categories, the tan powder contributes zero calories and is labeled as "fruit extract" or "naturally sweetened with fruit." Tate & Lyle markets its monk fruit under the name Purefruit. Blue California, Rancho Santa Margarita, Calif., early last year debuted BlueSweet monk fruit extract. And at a November ingredients show, U.S. Niutang Chemical Inc., Chino, Calif., provided samples of a monk fruit sweetener, tentatively called Fruit20 and Fruit50, denoting the percentages of the mogrosides, the compounds responsible for monk fruit's sweetness. Adding omega-3 fatty acids to a variety of products helps them stand out in their respective categories. Many suppliers offer omega-3 fatty acids in one form or another, but Glanbia Nutritionals has upped the ante with UltraGrad, an ingredient system that delivers all three preferred types of omega-3 fatty acids (ALA, EPA and DHA). UltraGrad combines Glanbia's MeadowPure flax oil and OmegaPure fish oil in a dry ingredient that can be stored and transported at ambient temperatures. According to the company, as little as 1.8g of UltraGrad per serving provides sufficient omega-3 for a nutrient content claim such as "excellent Source of ALA, EPA, and DHA omega 3." Another priority in many products is reducing sodium through ingredient replacement. Last November, Tate & Lyle introduced an award-winning salt expander called Soda-Lo. It's a salt microsphere — a hollow particulate, it is about one-tenth the size of a standard grain of salt for more comprehensive binding to taste receptors on the palate. This also maximizes surface area. It is used at lower levels (25 to 50 percent reduction) in formulation than table salt. The ingredient tastes like salt because it is salt, sodium chloride, and is cost-competitive with other sodium reducers. Fiber, by whatever definition one uses, is reported as the third most important food component that consumers look for on a label. According to FDA, an "excellent source of fiber" claim can be made with 5g fiber per serving (20 percent of the recommended daily intake). Tate & Lyle's Promitor 85, a second-generation soluble corn fiber ingredient, is a prebiotic that is available in dry or liquid form. "Promitor gives food and drink manufacturers a value-added way to deliver an excellent source of fiber," says Andy Hoffman, health and wellness platform technical director for Tate & Lyle. "Not only does Promitor offer excellent color and taste qualities, it is very well tolerated and cost-competitive relative to many other fiber alternatives." Another corn fiber ingredient, HiMaize from Ingredion, Westchester, Ill., is derived from a high-amylose corn. While some 400 studies have proven its impressive array of health benefits, researchers at the University of North Texas in Denton, reporting results of a recent study, noted that the ingredient poses no sensory issues compared to similar starches in formulation. They concluded that a variety of foods can use the starch product, which slows digestion and prevents blood sugar "spikes" after meals. An often-overlooked advantage to using such new ingredients is the assistance in formulation available from the ingredient providers. "Cargill can look at the combination of ingredients and what each brings to the table from both a flavor and functionality standpoint; finding combinations of ingredients that can contribute less cost overall and increase consumer demand," says a company spokesperson. 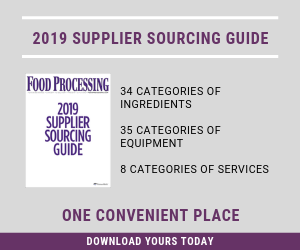 Ingredient makers can often come in at the conceptual stage of the product, approaching the reformulation challenge from a point of view that includes all ingredients in combination, from flavor to functionality, and so streamline the process. Holding the line on costs while using the same production line with minor or no alterations is what brings new ingredient technology readily into today's reformulation process. Adding ingredients that can positively affect label declarations or consumer preferences, and replacing ingredients with negative attributes, will make these reformulations. This article originally appeared in the March 2013 issue of Food Processing Magazine. Consumers' interest in protein needn't be confined to meat.